Tohono O'Odham With Human Figure. Measures 4 1/2" x 5". 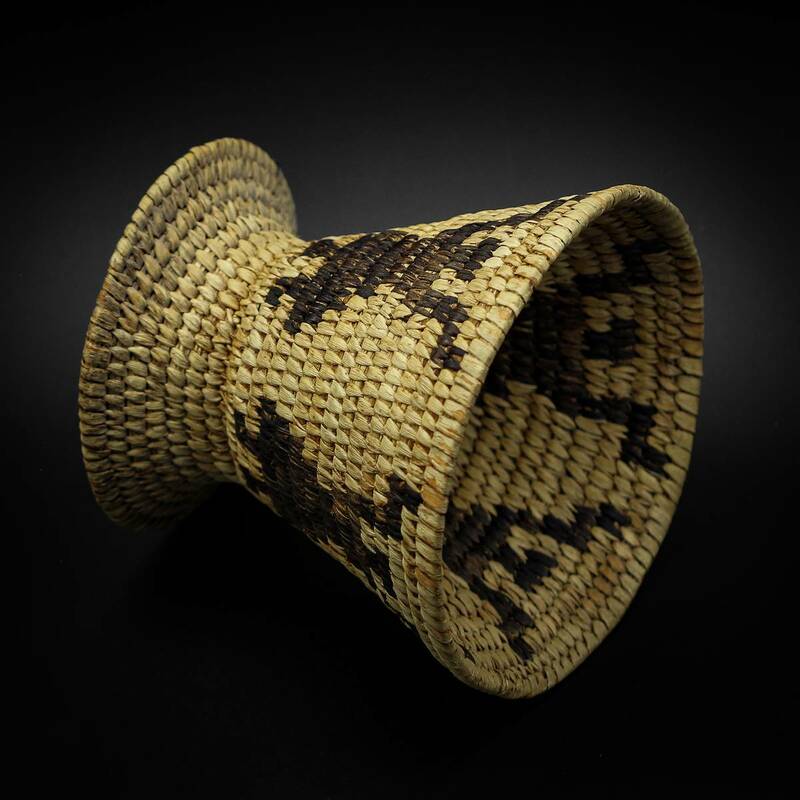 A Tohono o'odham basket made out of yucca and devil's claw. 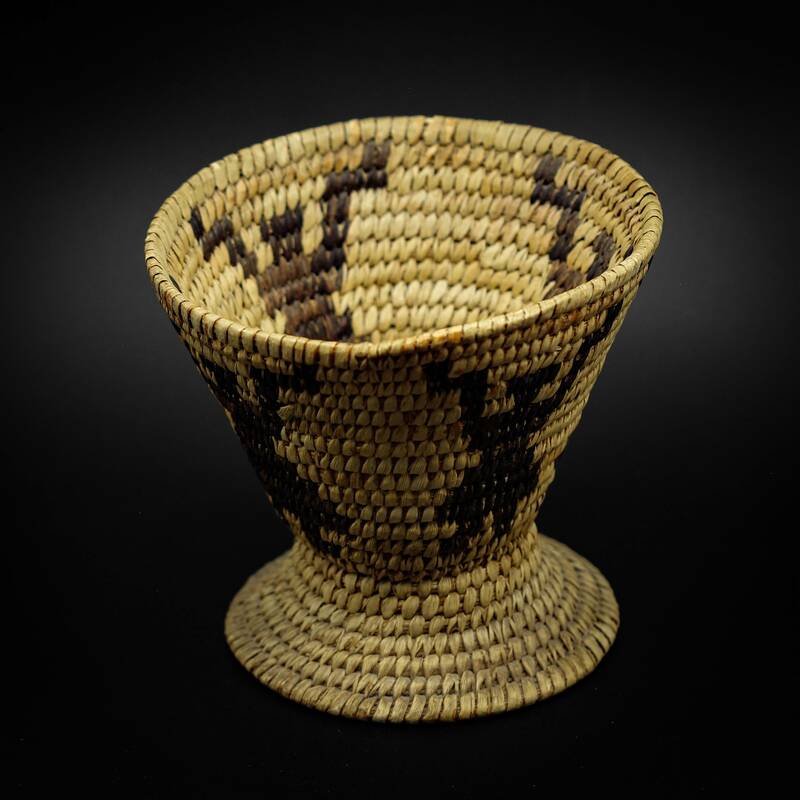 This basket has a gorgeous series of human figures woven around which is visible on both sides. This piece is has no damage and is in excellent condition. 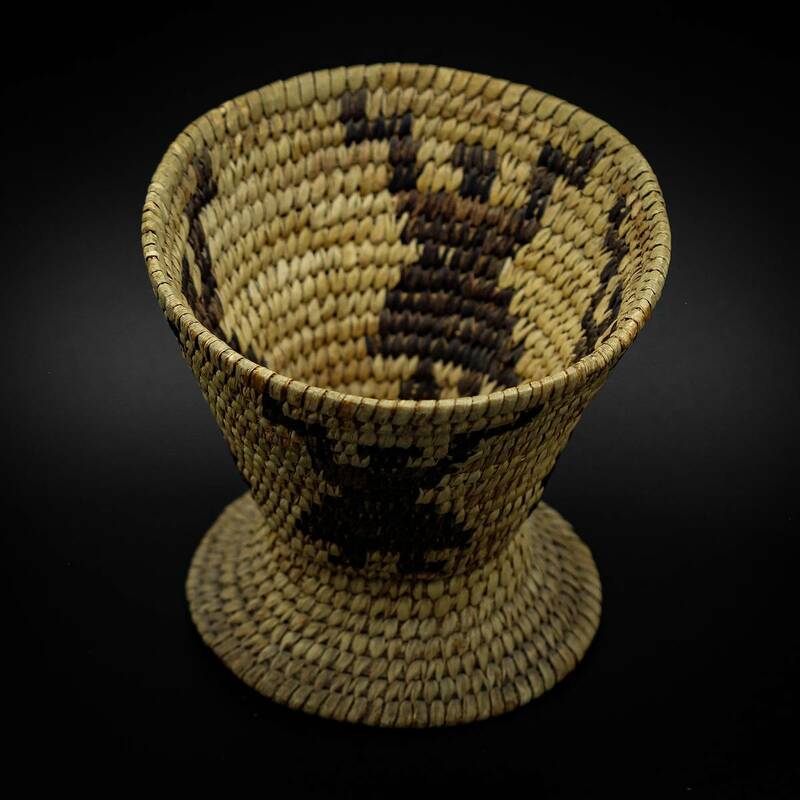 A handcrafted basket to add to your collection.